The BRIDGE Act, initially introduced in the Senate in 2016 was reintroduced to the new Congress, and to the House for the first time just eight days prior to President-elect Trump having a chance to revoke the executive order that granted deportation protection to DACA recipients. 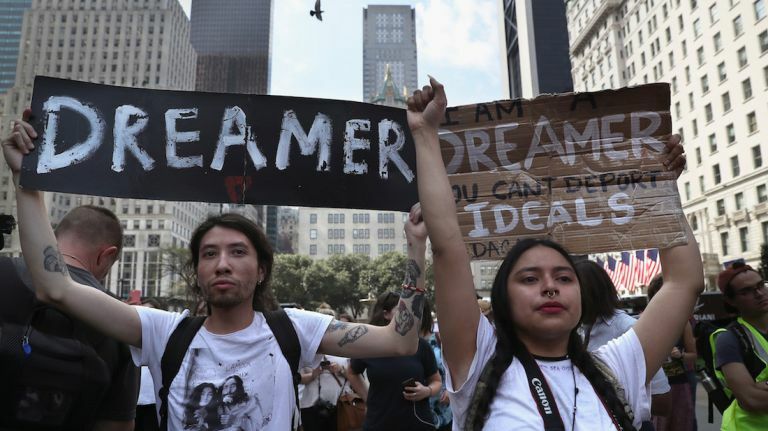 The BRIDGE Act would not grant legal status to DACA recipients, but it would allow them to maintain work authorization in a new provisional protected status. It would last for three years, providing enough time for comprehensive immigration reform, and it would prevent the government from using the information collected for other purposes such as deportation, unless the matter involved national security or criminal activity.